Retirements and new agents helped Modern Woodmen have a good year, last year. This week, the fraternal benefit society based in Rock Island reported its results for 2018, and they include continued growth in life insurance, assets, and net income. Employees of Modern Woodmen of America braved the frigid weather to support Child Abuse Awareness Month. 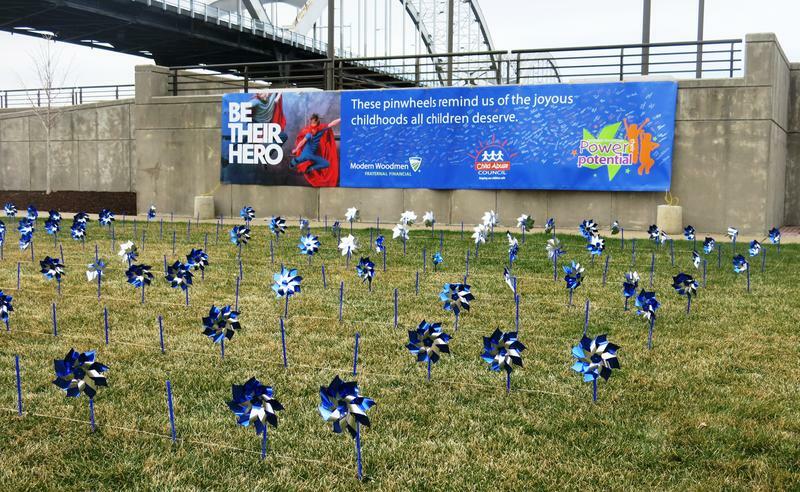 Friday afternoon they planted 600 blue pinwheels in the lawn next to the home office in downtown Rock Island. The baseball stadium in downtown Davenport will continue to be called Modern Woodmen Park for another ten years. The Rock Island-based fraternal financial services organization has decided to extend its naming rights agreement with the Quad Cities River Bandits. Last year was a good year for Modern Woodmen. The fraternal financial services organization, based in Rock Island, reports strong growth and profits.